Current Executive Vice President Koichi Fujiwara has been appointed as Chairman and President as well as a Representative Director of leading classification society ClassNK, effective 7 March 2016. Current Executive Vice Presidents Yasushi Nakamura and Tetsuya Kinoshita will continue in their present roles on the team, joined by Junichiro Iida as Managing Director. 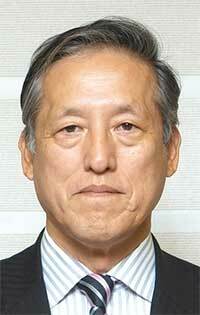 Noboru Ueda has stepped down as Representative Director, Chairman and President. Current Executive Vice President Tetsushi Agata has been appointed as an Executive Auditor as part of the Society’s aim to strengthen its auditing system. Koichi Fujiwara holds a Master of Naval Architecture from the University of Tokyo, and served in Japan’s Ministry of Transportation (now Ministry of Land, Infrastructure, Transport and Tourism). Throughout his role in government, he served as an outstanding policy maker in the maritime administration and assumed the role of Director-General of the Maritime Bureau in 2006. He joined ClassNK in 2007, and was appointed to Managing Director in 2010, followed by Executive Vice President in 2011. He has so far commanded the expansion and development of the Society’s certification services.